February 26, 2015 March 25, 2016 Pilar B. You might be familiar with the idea that children learn best when they are following their interests. But you might not know that by “following the child”, you’re also helping them develop executive functions: skills like impulse control, delayed gratification, problem-solving, strategizing and concentrating, which are much bigger determinants for success in life than IQ. I recently attended a talk by Dr. Steven Hughes, where he focused on the development in childhood of executive functions. I learned that when a person engages in work that challenges them, satisfies them, and gives them a sense of purpose, their brain produces just the right amount of a hormone called dopamine, which is responsible for managing drive and motivation, and regulating executive functions. This explains why children rarely misbehave or make bad decisions while doing productive self-chosen work. I did a little more research after his talk and discovered that boredom is related to a lowered production of dopamine, which explains why most children have to be bribed to do uninspiring school work (receiving bribes increase dopamine, but also leads to a bribe addiction because the motivation isn’t coming from within the child). It also explains why children act out when they’re bored at school; they are not producing enough dopamine to remain in control of their behavior!! Meanwhile, even low levels of stress (like those caused by threats, assessments, and externally-imposed deadlines) lead to a dopamine flood that shuts down the prefrontal cortex – the rational part of the brain that regulates executive functions. In other words, when we pull the child away from his self-chosen explorations and force him to do the work that WE thinks is beneficial for him, along with killing his love of learning, we are also impairing the development of his executive functions. So, please, it’s time to start listening to Dr. Montessori and to modern science. Let’s stop thinking we know what’s best for the children and start allowing their creative and productive energies to lead the way. Are you ready to follow the child? I know I am. August 24, 2012 August 25, 2012 Pilar B. A recent post on How We Montessori addressed the importance of letting toddlers walk when they show enthusiasm for it. Yes, a walking toddler slows you down, but what’s your hurry? Parents are always claiming that they want to stimulate their child’s intelligence, and yet they put a stop to the ONE activity that will most enhance cognitive growth – purposeful movement. 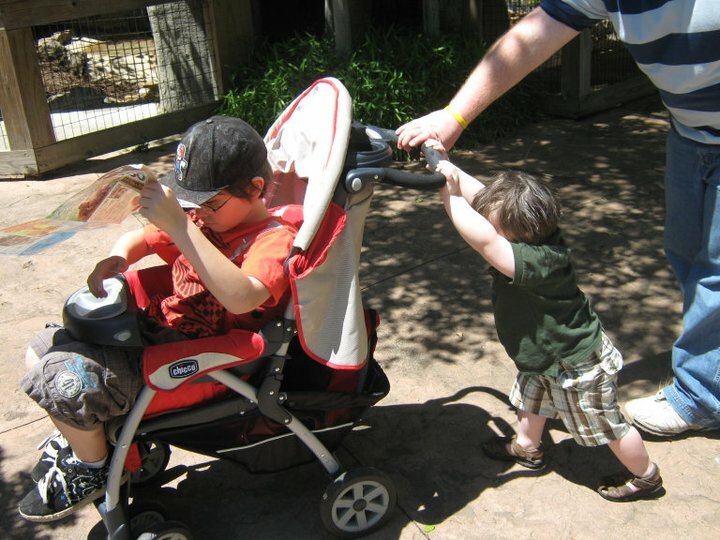 It has always driven me NUTS to see three-year olds being pushed in strollers. Have you looked at a child’s face when he’s sitting in a stroller? Is he engaged, curious, excited? Or is he passive, bored, and even humiliated? What do you think he’s learning while being pushed around? What messages are we sending them when we strap them down? I hope you’ve seen the movie “Babies” (if you haven’t, what are you waiting for???). 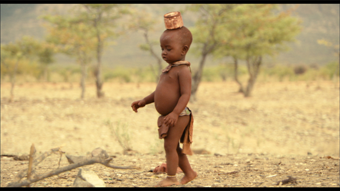 It features a baby girl from a goat-herding tribe in Namibia. From the moment the child starts to walk, the mother is never shown picking up the child again. In one scene, the mother walks slowly next to the toddling girl, giving her sensitive feet time to become accustomed to the rocky ground. The child’s discomfort is obvious, and yet the mother’s presence seems to be telling her: “You are strong, I know you can do this.” In another scene, the mother bends down to nurse the girl while the child is standing. In a third scene, the toddler is trying to balance a can on her head while walking – all this, while the three other same-aged babies in the movie (from Japan, Mongolia, and the U.S.) are still as wobbly on their feet as a newborn foal. 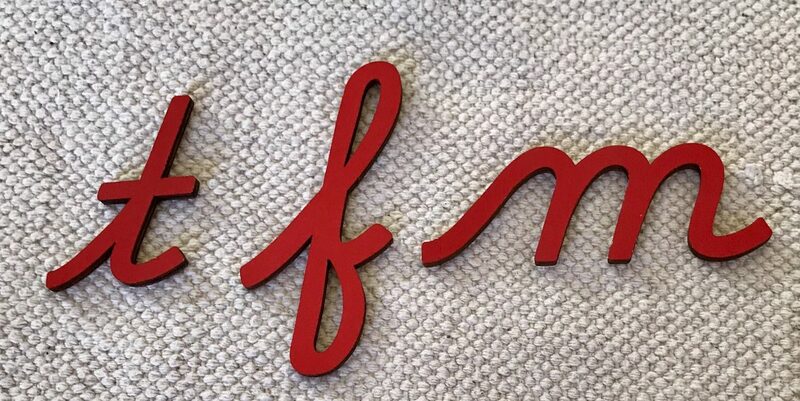 Executive functions – the ability to plan, prioritize, initiate, inhibit, monitor, correct, control and change one’s own behavior – are honed through the simple act of walking!